"A captivating crime thriller bursting with rural flavor and hard hitting revelations. 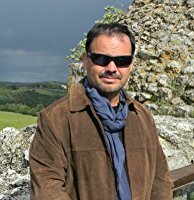 Highly recommended for all crime & mystery fans, but especially for those of the Justified book & TV series. This story pulls you in from the first few pages. Michael Mucci does a great job placing the reader right smack dab in the middle of Small Town USA. Actually, it's Macon, Pennsylvania... but with all the characteristics you'd find in a small town anywhere that hunters show up in numbers during hunting season. 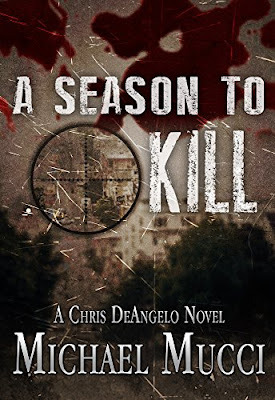 When the Sheriff of Macon suddenly dies, his spot in the department is filled by Chris DeAngelo. Known for his drinking and not exactly who you would think of as being the new sheriff, Chris begins to take his job seriously and soon starts putting pieces together regarding a string of "disappearances" over the past eleven years. Although it becomes fairly apparent to the reader as to who is responsible for these disappearances, it seems to take Chris quite a while to figure things out. Perhaps that's because of his drinking problem... I'm just not sure. There was quite a bit of repitition and needless wording in the first half of the book, but things began to pick up a bit in the second half. All in all, it was a pretty good read. From rafting down the Amazon in a dug-out canoe, panning for gold in Alaska, or going on safari in Africa , Michael has enjoyed learning and participating in different cultures around the world.